Item number 2902/84 from the MOA: University of British Columbia. 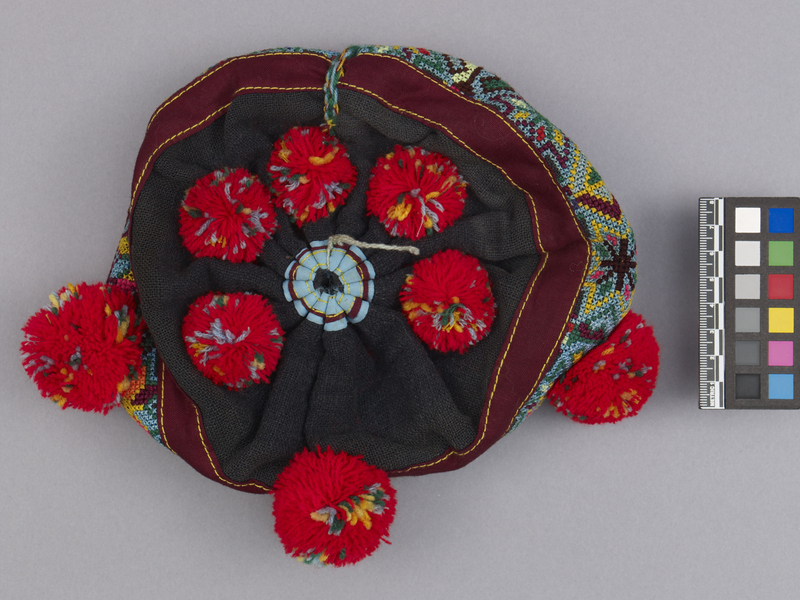 Small round hat with dark grey top and a band of multi-coloured embroidery with star motif. Two dark purple bands with yellow stitching border either side of the embroidered band. The hat bunches at the top and has a blue, purple and yellow circle design. There are three large pompoms, predominantly red, on the sides of the hat and five smaller pompoms on the top. 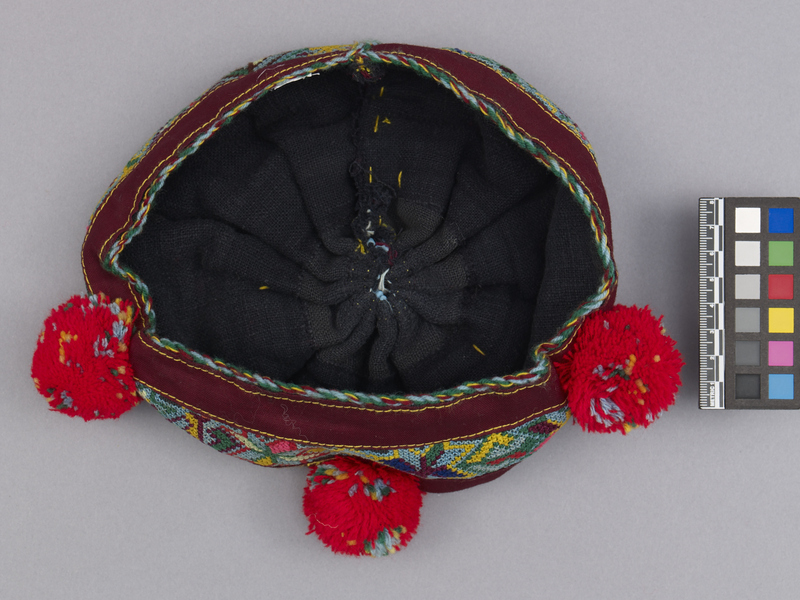 The bottom of the hat has a border of green, blue, dark red, and yellow wool thread, which also goes up one side of the hat to one of the top pompoms.